Get up to 7 free auto shipping quotes from the largest, most trusted North Dakota auto transport companies and save up to 50% on your car shipping rates at CarMoves.com. Car shipping companies in North Dakota compete for your business, which is how you can save hundreds, if not thousands of dollars on car transport services by shopping with us. Whether you're shipping a car to North Dakota, across the country, or even overseas, we can help you get the best price on your shipment - guaranteed! Read more about the following auto transport companies in North Dakota before getting a quote. Click on the name of the company to read a full review. Get a free auto transport quote today to find out how much it costs to ship a car to or from North Dakota! 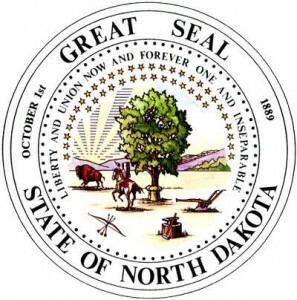 North Dakota is a fairly large Midwestern state that is very sparsely populated compared to many other Midwestern states, and the rest of the nation in general. Both of the Dakotas were formed and admitted to the United States in the late 19th century. After its entrance to the country, North Dakota's population exploded, as European immigrants and laborers move to the state to work in the expanding field of farming jobs available near the Red River Valley, the main population center in the state. North Dakota's growth slowed in the 1930s, resulting in a slight decline in population that has been attributed to the lack of jobs for college graduates. However, growth has picked up again in the 21st century, as oil drilling expanded in the state. Culturally, North Dakotans still tap into their northern and eastern European heritage to serve authentic meals, mostly German or Scandinavian in nature. Perhaps the most authentic of their cultural celebrations, therefore, is an annual Lutefisk Dinner held annually February at a Lutheran church in Williston, North Dakota. Lutefisk is, of course, a type of aged or dried whitefish that is traditionally prepared with lye. The result is gelatinous meat with a strong, potentially unpleasant, fish odor. The state's cold weather climate also lends it to being a popular place for snowboarding, skiing, ice fishing, and snowmobiling. Fortunately, the state does not lack for large water sources, which also helps with the abundance farming in the state. One aspect of North Dakota that might be improved is the lack of popular attractions and, thus, tourism. While the state does not take in many dollars from tourists, some limited attractions do exist. Perhaps the most popular place for tourists to visit is the Theodore Roosevelt National Park, a park that encompasses a large section of badlands in western North Dakota. The area was well liked by the former US President as a place to hunt bison, and he invested in ranches there. Wild horses are also commonly viewed in this national park. CarMoves.com works with car shipping companies throughout the state of North Dakota. We can help you get the best prices on car transport services to the following cities in North Dakota: Fargo, Bismarck, Grand Forks, Minot, West Fargo, Mandan, Dickinson, Jamestown and many more. If you don't see your city listed, don't worry - we can get your vehicle shipped anywhere in North Dakota. Scroll to the quote section on this page to compare free auto shipping quotes from up to 7 North Dakota auto transport companies and save up to 50% on your move! View the North Dakota Department of Transportation website for more information.